you gotta want it: the green machine! Soooo tired from a long day at work and an AWESOME 20K time trial this evening! I have SO much exciting stuff to update you on, including my race schedule, some GREAT products I'm using, some REALLY exciting stuff about team TRAKKERS, and more! I have been involved with Trakkers for the last 2 years- it started out as random email from someone I didn't know with a subject line along the lines of "Share the Glory"...I probably should have deleted it, but I was drawn to it. It was a short email describing an ongoing project to create a device that will track athletes real-time (their speed, location, heart rate, elevation, etc.) and allow friends/family/spectators to follow you along your training route or your race! This product spoke to me, especially being an endurance athlete. I have gone on 3hr 30 min solo runs, some 7-hr bike rides, and had disastrous races that had my family and friends thinking "Where the HECK is she?? Did something happen??" Well Trakkers is going to change that. They have been customizing and tailoring their product to the finest detail, and I am 100% behind this product, as are my biggest supporters- my family and friends! You REALLY need to check out this product http://www.trakkersgps.com !! I am not the only fan of Trakkers - there are 30 or so age-group athletes (teammates) from around the country, as well as 8 PROs that are behind this product as well! Did you READ them?? Check out the "awesome pics" one... it mentions something UNHEARD of in triathlon... a TEAM challenge!! 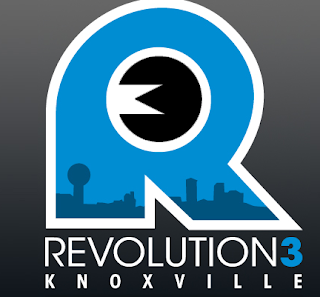 Yes, the elite Team Trakkers is throwing down a $5000 challenge against the KSWISS/TREK elite athletes, cross-country style scoring, at REV3 KNOXVILLE.... who said triathlon isn't a spectator sport?? this should be interesting!! Not only is there $5000 on line thanks to Trakkers, but REV3 agreed to MATCH their $5000, in addition to the $5000 already in place for the top athletes...that brings the grand total to $15,000....dang! Even better, you can get $10 off your registration when sign up for the Olympic or 1/2 Iron Distance in Knoxville by using this code: Trakkers117. This works for the Quassy and Cedar Point REV3 races as well! VERY SOON, i.e. at QUASSY, You ALSO can use the Trakkers device for FREE when you compete in these races!! 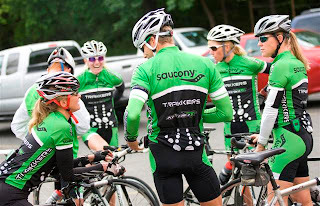 Listen in to the REV3 live webcast/chat tomorrow at 7PM central time (click on link on my blog) to see what TEAM TRAKKERS has to say about this challenge and the REV3 race series! Michael Lovato, Amanda Lovato, Dede Griesbauer, and Mary Beth Ellis will be tuning in!